Wedding flowers and weddings are a match made in heaven. Still, when looking at it from a wedding florist’s point of view, they quickly become a well-balanced combination of skilled craftsmanship and business savvy. 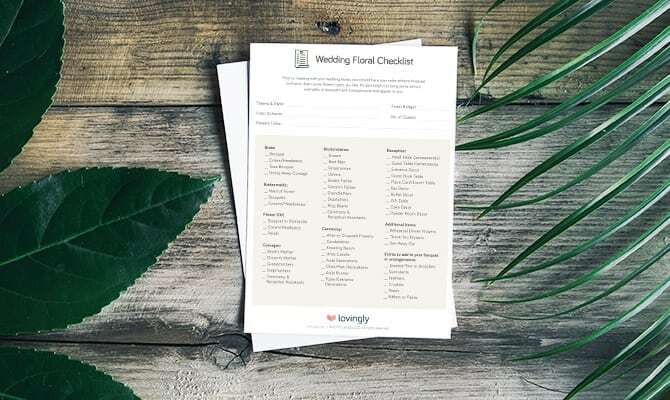 Here, Lovingly gives a series of tips designed to help you strike that balance and get more wedding referrals. So how does a local florist achieve business growth and success in the wedding flowers market? Getting couples to ask for consultations means generating referrals. According to The Wedding Report, 50 percent of brides use the internet to research bridal bouquets. Searching wedding flowers online is becoming increasingly popular. So you need a website fully optimized for SEO, along with knowledge of online marketing. And the increasing importance of mobile-first indexing. A good wedding consultation should be a meeting of minds: aspirations, expectations, artistry and expertise working together in a relationship-building experience. However, Lovingly conducted its own research with partner florists. Let’s see if you’re surprised by what we found. Overwhelmingly, couples at consultations have few ideas about what they want, what budget they’re aiming at, and a dependence on the florist to come up with answers. Some florists try to avoid these issues by ensuring that brides-to-be have already bought a dress, or booked a venue, thereby giving the florist something tangible to work with. It makes a lot of sense, right? Without information and ideas from the couple, the florist really has her work cut out for her; and the pressure of having a couple simply expecting her to magically conjure up the perfect wedding flowers must be difficult to deal with. We came up with our own solution for Lovingly Partners, which now exists as a service; but, hey, that’s what we do. Finding your own way to ensure streamlined, enjoyable consultations can be difficult, but there are ways, even if it means being a little stricter than you might like to be. After all, happily-ever-afters is your goal! Is success about what you know, or who you know? To succeed as a local wedding florist, it’s both. Being the name on the tip of somebody’s tongue when they’re asked about local wedding florists is GOLD. And don’t forget these contacts exist on social media. The online world is all about networking and word of mouth, so use it! 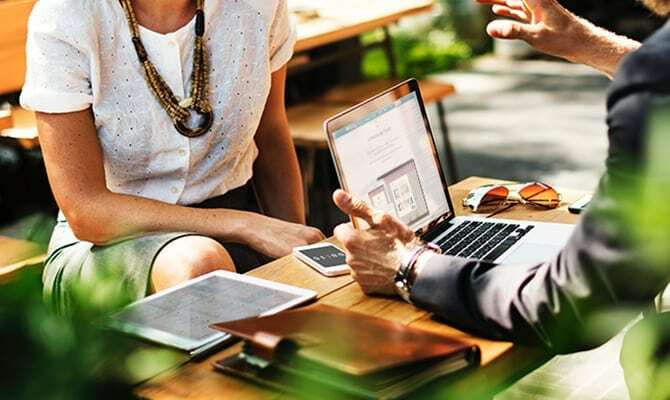 Just as referrals are critical for growth on a business-to-business (B2B) level, so word of mouth is critical to your reputation on a business-to-customer (B2C) level. What your customers say about you is your reputation. So you should always ask for reviews, whether in-store or online. In an extensive survey, no less than 85 percent of consumers said they trust online reviews as much as personal recommendations. Well, simply contacting clients and asking How did we do? is a powerful way of showing that you care. It’s also the perfect opportunity to ask for a review. 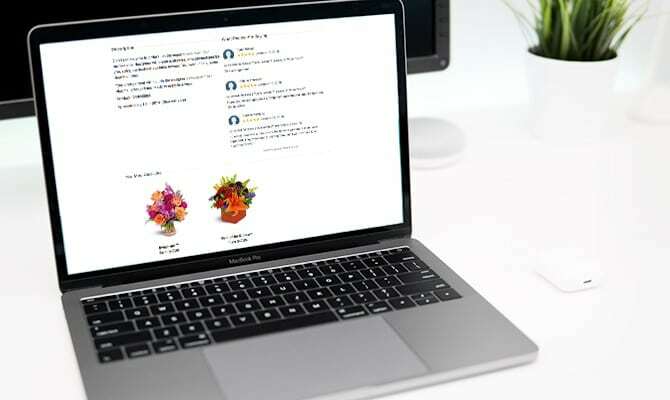 Now look again at that 85 percent statistic and think about the effect that making those positive reviews part of your online store will have on shoppers. Hey, you work hard, so reap the rewards. Dealing with customer reviews is also very important for your business. For a deeper dive into this topic, visit our 5 Easy Steps to a Great Online Reputation post. 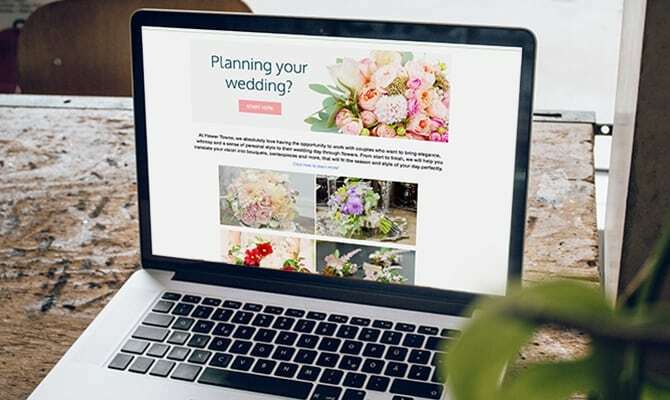 Having a dedicated Weddings landing page is a little like having a separate area in your store solely for wedding consultations. It tells potential clients that this is a specialist skill for you. It also implies that a dedicated page is worthwhile for you, because you’re so good in this area. 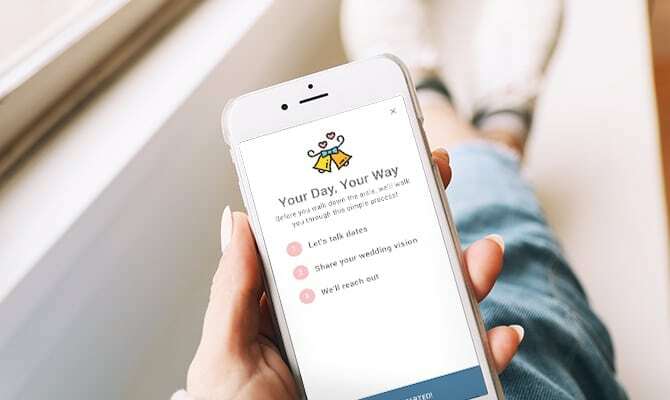 You can also lead online shoppers straight to your Weddings page through targeted ads or generic search results based on smart keyword usage. Aesthetically, it opens up a world of weddings in the eyes of the shopper, with the only topic being wedding flowers. Here you showcase your range, from bridal bouquets to boutonnieres. Everything, in fact, that is top of mind for your shopper. Other than a dedicated landing page, a Weddings Gallery is also a great idea. Like a landing page, your gallery captures the attention of the shopper, immediately gets them focused, and creates a positive impression. The aesthetic appeal of a gallery is likewise very strong. So here’s to many Big Days ahead! Looks like something needs to be fixed above.